As suggested by the name, Inner Armour is all about developing as much strength, power, speed and endurance as possible. It's a serious brand for all types of athletes, be they amateur or professional; school students, college students or full-time professionals. Inner Armour's goal is to provide vital assistance to athletes, body builders and sportspeople who approach their physical goals with an attitude of determination, discipline and commitment. Inner Armour supplements are clinically tested, to ensure both optimum performance and safety. Every single batch is certified, providing evidence that the products are totally free of banned substances. They have the approval of the Parisi Speed School and the Test Sports Academy behind them. This means that their products are tested in real life contexts, in Parsis Speed Schools, and, as a result, consumers of Inner Armour supplements can make their purchases with 100% confidence. The team behind Inner Armour supplements is comprised of experienced industry professionals, sought-after scientists, registered dietitians, professional trainers and product developers. Hence, every single aspect of sports nutrition creation is covered - from research to technological developments to exhaustive testing. No stone is left unturned in Inner Armour's pursuit of excellence. Furthermore, the company has worked hard to develop a range of supplements that covers every aspect of physical achievement, from adding muscle strength, to promoting endurance, to increasing speed. Inner Armour supplements are formulated to meet a wide variety of needs and circumstances. Inner Armour understands that the goals of athletes vary, and so their products strive to function powerfully in a diverse range of contexts. As can be expected, Inner Armour supplements don't muck about. They are formulated to such stringent standards that they're pretty much guaranteed to pack a mean punch. Their 'Peak' products include Inner Armour Anabolic Peak, which provides both 50g of protein and an astounding 1,250 calories in every serve. It's designed to max out anabolic potential, and create the ideal conditions for gaining mass. There's also 'Inner Armour BCAA Peak', which delivers Branch Chained Amino Acids in a mindblowing ratio of 12:1:1, as well as 5g of glutamine in every single scoop. 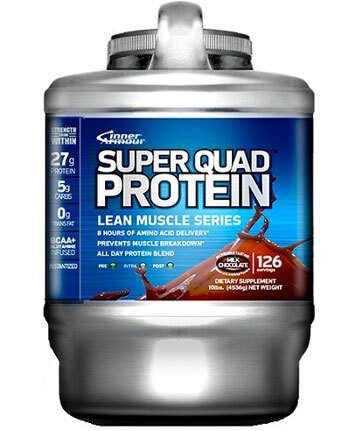 This product is designed to prevent muscle breakdown during post-workout recovery and to maximise protein synthesis. Peak supplements are just the tip of the Inner Armour supplements iceberg. 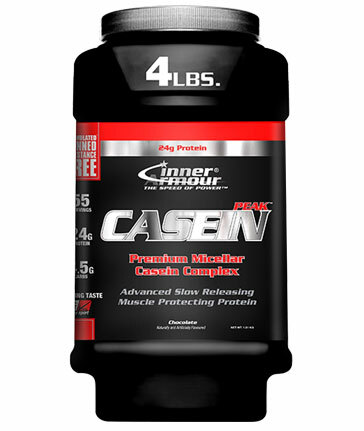 Check out their diverse range of sports nutrition products, from casein to creatine supplements to ISOMaxxx protein.